Please read eligibility requirements and submit the application according to the directions. Winners will be announced at the 28th Annual Conference. NAAAHP grants students the opportunity to present scholarly research, network, debate, and compete academically. Moreover, the organization fosters students’ development in an undergraduate environment that promotes scholarship and an appreciation of African American culture. NAAAHP is proud to have instituted an annual scholarship for a deserving student. The Dr. Freddye T. Davy Humanitarian and Service Award is instituted because of Dr. Davy's many years of service to NAAAHP and the Honors education community. 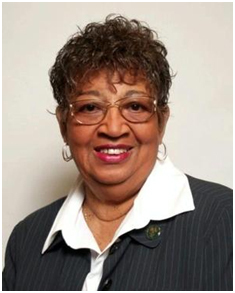 Dr. Davy served as Honors Director at Hampton University from 1994 until her death in 2012. Under her leadership, The Freddy T. Davy Honors College was established at Hampton. The memorial is in the form of a scholarship to a deserving student and presented as the Dr. Freddye T. Davy Humanitarian and Service Award. Honors directors of each active NAAAHP institution are allowed to submit one active student nominee for the award. The winner is announced at the 28th Annual Conference. The student must be financially active within their Honors College/ Programs (dues paid). The student must demonstrate service in a role within their Honors program during the 2019 school year. The student must hold a 3.5 cumulative GPA or higher. The student must be a well-rounded campus community member, actively involved in other campus organizations. The student should be active in community service. Please Note: Three letters of recommendation must include endorsements from an Honors director, Honors faculty, and community service supervisor.